Get outdoors at Hatanpaa Arboretum and Rauhaniemi Beach. see Sarkanniemi Theme Park. 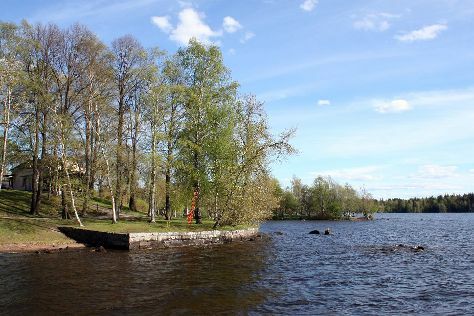 The adventure continues: take in panoramic vistas at Pyynikki Park and Observation Tower, let the kids burn off some steam at Duck Park (Sorsapuisto), stroll through Riihiniemen Uimaranta, and soothe aching muscles at some of the top local wellness centers. To see maps, more things to do, ratings, and other tourist information, go to the Tampere day trip planning website . Houston, USA to Tampere is an approximately 19.5-hour flight. Due to the time zone difference, you'll lose 8 hours traveling from Houston to Tampere. Expect much colder temperatures when traveling from Houston in June; daily highs in Tampere reach 64°F and lows reach 46°F. Cap off your sightseeing on the 13th (Thu) early enough to go by car to Kouvola. Kouvola is a town and municipality in southeastern Finland. 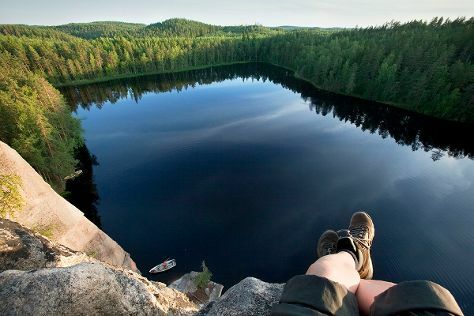 On the 14th (Fri), explore the striking landscape of Repovesi National Park. For ratings, photos, other places to visit, and other tourist information, go to the Kouvola trip planner. You can drive from Tampere to Kouvola in 3 hours. Other options are to do a combination of bus and train; or take a train. In June, daytime highs in Kouvola are 66°F, while nighttime lows are 50°F. You will leave for home on the 15th (Sat).